Superb voice quality for your next production. Sometimes it’s just not possible to get good sound on location. High ambient and background noise has ruined many a great performance. Whether you’re providing a voiceover track, creating a message on hold for your digital phone system, or replacing poor location audio with ADR, the IMC Studios Voiceover Booth can get you the signal to noise ratio you expect, and voice processing (like Expanders, Compressors, and Limiters) to create the idea recording. Our condenser microphone and pre-amp system provides a sensitive, but clean voice capture, and is connected directly to our 48kHz digital recorder system, controlled by Cakewalk’s Sonar Platinum. Direct to digital recording means no analog tape system delays fast forwarding and rewinding tape. 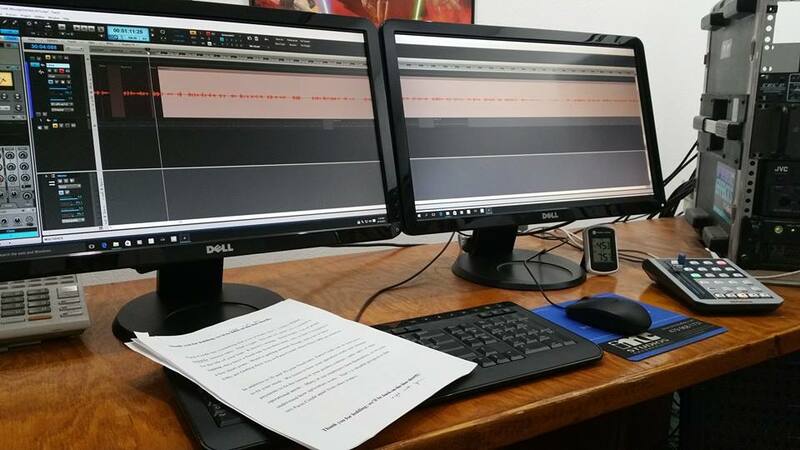 Instant reviews and editing to the 100th of a second provide fast, accurate voiceovers and quick edits, saving money by shortening your recording and editing times. You hear recording and playback on high quality Sennheiser headphones. We’ve got music stands for your copy, and high-back stools if you prefer to record from a sitting position. Both our audio booths feature studio floor facing windows and video monitoring for ADR. HD Video Playback can be controlled from the booth or the editing suite. There’s also a window between booths one and two for the simultaneous recording of two performers, be it independent Voiceovers, two ADR performers, or a voiceover in booth one and a Foley artist in booth two. Ready to add that voiceover, record a Message On Hold that sets you apart from your competition, or replace that poor location audio with studio quality voice? Use our Voiceover/Messaging On Hold/ADR Worksheet to organize your project requirements and Book It Now! Or attach your completed worksheet to an email and send it our way. We’ll get back to your promptly with a completed quote!